The heart of Suffolk is a destination for all seasons and we are delighted to welcome you to our enchanting little corner of England. The countryside is quiet and gentle with lots of delightful footpaths right outside our door. Our local pub 'The Trowel and Hammer' is a short walk away and offers local beers and traditional pub food served in front of roaring log fires. Visit the local farmers market on a Saturday morning at Wyken Vineyards, where you can buy a large variety of delicious local produce and also have breakfast if you choose. If you are a cycling enthusiast there are lots of cycle routes through picturesque, quiet Suffolk villages. We are just a 45 minute drive away from the Suffolk Heritage Coast and Heaths where you can find the famous seaside resorts of Southwold, Aldeburgh and Orford. The historic market town of Bury St Edmunds is only a 25 minute drive away, which has many individual shops and restaurants to offer along with a delightful independent cinema. And the wonderful ruined Abbey Gardens. The cities of Norwich and Cambridge are within a 50 minute drive. 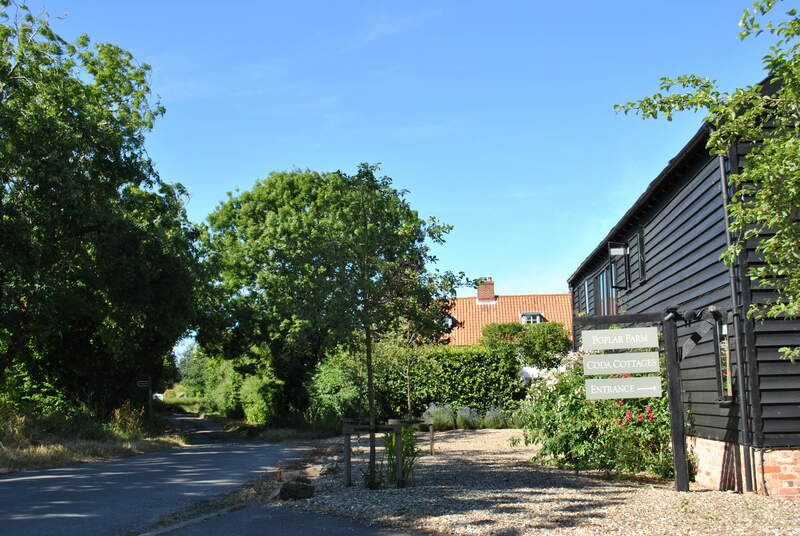 Each of the cottages has a comprehensive range of tourist information leaflets and ideas to make the most of your stay.